In a detailed post, an anonymous Bureau of Internal Revenue (BIR) Revenue Examiner explains how corruption in the Bureau has been prevailing in the past years, even evading the supposed aggressive lobbying of the Tuwid na Daan advocacy by the Aquino administration. During his time, former President Benigno Aquino III sought to bring light and justice to the Priority Development Assistance Fund (PDAF) controversy, but, as the anonymous Examiner quoted a certain congressman, the PDAF corruption is just the tip of the iceberg. BIR transgressions can reach up to P24 billion in the country’s losses which is why the anonymous Examiner underscored the need to disclose how transactions and anomalies are created within the Bureau. One of the roots of its corruption is in the Bureau’s yearly tax examination where the BIR issues the Letter of Authority (LA), Tax Verification Notice (TVN), and Letter Notice (LN) for its investigations. The Examiner explained that the LA is the “main source of corruption” due to it being the usual mode of authorizing the audit. “In the eyes of the revenue officers, LA means money. With LA, revenue officers are like stockholders of every corporation. In some case, when a revenue officer received a LA, he is already borrowing money for casino because he is sure that on or before 120 days he has money, specifically from that LA. LA is like a certificate of deposit. It’s like a check. It smells money. It’s money. Revenue Officers call it “the bread and butter”,” the anonymous BIR examiner illustrated. Once the taxpayer forwards his payment to the supervisor, in which the amount is settled on how much should be shown on the receipt and how much to be bribe money. The money is eventually divided amongst supervisor, examiners, Revenue District Officer, and Directors. The matter cannot be easily traced or proven because of the lack of audit trails which is why the act remains rampant within the Bureau. “The government’s loss from this scheme is tremendous. There are about more or less 2,000 examiners including supervisors across the country. If each gets P1,000,000 each month, in a year the total loss of the government must be P24,000,000,000.00. This is every year. It happens every year,” the post emphasized. Another issue is with contractors where they opt to under-declare their transactions by either decreasing their gross income or increasing his expenses, or even both. “Let’s set an example. If the total amount of tax to be paid is P100.00, the taxpayer will declare P60.00 resulting under payment of tax amounting to P40.00. The examiners will settle for P20.00 and out of this P10.00 goes to the government and the other P10.00 goes to the revenue officers,’ the anonymous Examiner explained. The irony of the scheme is that the BIR parades their advocacy to “run after the tax evaders”, but as pointed out by the unnamed Examiner, the real tax evaders are those within the office. In addressing the problem, the Examiner seeks to have a law implemented that would mandate regular lifestyle check and monitoring of revenue officers. Today, Information travels fast. It’s really amazing. Technology helps the people to express their knowledge, feelings and thoughts on the Internet where everyone can immediately read and response. People have called for rallies through the Internet. People have enjoyed voicing out their concerns on the Internet. They made themselves to participate even by writing simple comments on Yahoo, Facebook, Twitter, and other websites. The outcome is good. In fact, the rallies calling for the removal of PDAF were made through the Internet. Although there are those who don’t do it right—hackers defacing the government websites—it affects the government. People make comments. Some are true arguments while some are fallacies. People are participating to fight against the wrong actions of the government, especially against corruption. This is very healthy. I would like to give an input that may help to save the country from the slavery of poverty. I am a Revenue Officer at the BIR and designated as Tax Examiner. When the President said, “Kung walang korap walang mahirap and tuwid na daan”, my impression was that he will look into the lifestyle of the government employees especially of those branded as corrupt government agencies. That he will look into their banks accounts. That his administration will file the corresponding cases against them if found to have unexplained wealth. That he will remove them. That he will implement strict and concrete procedures to reduce, if not eradicate entirely, the corruption. That after cleaning up, he will increase the salaries of the employees of these agencies. I was so excited at the beginning. I saw his administration making the former president, the former ombudsman, the former chief justice, and other members of the former administration accountable. But suddenly, I have felt dismayed. He stopped. I have wondered. The actions were not against corruption but against the opposition. It’s not what the people wanted. The people want to eradicate corruption from all government agencies at different level. The president’s term is about to end. Where are we now? We are like a car that was cleaned up and fully furnished on the outside but the engine is totally wrecked. What’s the use of that but for display? I saw hope when the Supreme Court decided that PDAF is unconstitutional. Until now, it’s like I am dreaming. Right now everything could happen. As an examiner, it’s normal to audit government contractors’ records. It’s not surprising that you will find how the money for the projects is divided among COA auditor, budget officer, the accountant, and of course, corrupt politicians. The issue I am raising is bigger than PDAF. It’s about the corruption in the BIR. Indeed, corruption through PDAF is just the tip of the iceberg. I would like to share how corruption works at the BIR. I want everybody to understand and feel its gravity to our life. This is bigger than PDAF because the accumulated amount is enormous. Continuous pain is worst than short time severe pain. Voluntary payments, withholding taxes, and investigation of taxpayers—these are the ways of collecting taxes by the BIR. An example of voluntary payment is the filing of an annual income tax return. This is the one we rush to pay every April 15. Withholding tax on compensation—deducted by the employers from the employees together with the pag-ibig, sss, and other deductions monthly—is an example of a withholding tax. The case of Manny Pacquiao is an example of audit of taxpayer. Corruption transpires during the investigation of businesses by the revenue officers. Examiners, supervisors (assessment section), assistant RDO, Revenue District Officers (RDO), Directors, and some commissioners—these are the specific revenue officers involved to the scheme. No examiners, supervisors, RDOs, & Directors can claim that he was never been involved in this scheme. Is there any policeman who has never touched a gun? Is there any fisherman who has never tasted the fresh or sea water? Every year the BIR conducts tax examinations to most business establishments. Initially, the BIR issues letter of investigation. Letter of Authority (L.A.), Tax Verification Notice (T.V.N. ), and Letter Notice (L.N. )—these are the letter of investigations issued by the BIR, although the L.N. is not actually used for thorough investigation. The LA is used for regular audit. The TVN is used when LA is inappropriate. This includes closure of small businesses. Another used of TVN is when transferring the ownership of real property by inheritance. The LN is used for some circumstances. When the BIR found a discrepancy between the information submitted by a taxpayer and the information gathered by the BIR from another taxpayer outside the formal audit, an LN is issued. This happens usually between a distributor and a whole seller. Both of them submit information to the BIR. Considering their relationship, the former being the buyer and the latter being the seller, the information are compared based on the records submitted to the BIR. Any discrepancy will lead to the issuance of LN. As a consequence, the taxpayer can pay the tax if he agrees; otherwise, he can explain why such discrepancy occurred. The main source of corruption is the LA because this is the normal way of authorizing the audit. In the eyes of the revenue officers, LA means money. With LA, revenue officers are like stockholders of every corporation. In some case, when a revenue officer received a LA, he is already borrowing money for casino because he is sure that on or before 120 days he has money, specifically from that LA. LA is like a certificate of deposit. It’s like a check. It smells money. It’s money. Revenue Officers call it “the bread and butter”. Examiners and group supervisors quarrel for LA. Each lobbies, some even make advance payment to their RDO just to get the taxpayer they desire to audit. The LA is assigned to the examiners with a group supervisor. An examiner can have several LA at the same time, more or less ten (10) LAs per examiner depending on the number of examiners in a district. A group supervisor can have more than one group of examiners. The transaction is straightforward and simple. The audit is conducted by the examiners. The findings are presented to the taxpayers, often with the supervisor. The taxpayer arrange schedule with the supervisors to discuss the settlement which includes the amount to be shown on the receipt and the amount that goes for the boys—the bribe money. The supervisor discusses the settlement with the RDO. If approved, the payment form is prepared signed by the RDO and the taxpayer pays with the bank. The taxpayer returns to the supervisor and with him are the payment form and the money for the boys. In some cases the taxpayer just gives the whole amount to the examiner or supervisor and let them pay with the bank. The revenue officer will just send the original copy of the payment form to the taxpayer after payment with the bank. The supervisor divides the money among himself, the examiners, and the RDO. The RDO divides the money given to him by the supervisor. He gives to the assistant RDO and to the Director. And finally, the Director distributes the money to the commissioners of his choice. These are the common scenarios that you would see almost every day at the BIR. There are some districts where the supervisor reports the money to the assistant RDO. The reason why the usual distribution of money is from the supervisor to the RDO and not to the assistant is because of “Bukol”. This is a common word inside the BIR. It refers to the amount of money not reported by one to another. —everyone is engaged in the scheme. I see even those appearing to be religious individuals involved in the scheme. They conduct masses at the office as they involved themselves to this detestable scheme of corruption. It’s very mind twisting. I don’t know how the president could say “tuwid na daan” as this is happening. If he only knows, maybe, he will not say these words. It’s confusing. An ordinary Filipino hears different thing from his president compared to what he sees. But the main issue here is that no one can prove it except through entrapment. Currently, unless you entrap a revenue officer you won’t prove it. There are no audit trails. How can anyone prove it? Money transfers from one hand to another in seconds. Transactions occur anytime and anywhere. It happens inside the BIR office. It happens at the lobby. Transactions take place at the revenue officers’ car. It happens at the restaurant near the BIR offices. Anywhere the transactions transpire. That’s why I think the only way to address this issue is to pass a law requiring all personnel in that position to be subjected to regular audit of their bank accounts and regularly conduct lifestyle check. It must be on regular basis and not just on random or especial occasions. The government’s loss from this scheme is tremendous. There are about more or less 2,000 examiners including supervisors across the country. If each gets P1,000,000 each month, in a year the total loss of the government must be P24,000,000,000.00. This is every year. It happens every year. But, be noted that, that’s not the actual loss by the government. That’s just the portion of the total amount of tax that must be collected for the government. The amount is just those got by the examiners and supervisors. Remember the taxpayers settle with the revenue officers. Why? It’s because in exchange for something. It’s not surprising that majority of the taxpayers intentionally don’t pay the correct taxes simply because of our environment. Let’s take for instance the case of the contractors, particularly, the government contractors. There are expenses that cannot be deducted from the gross income. That’s bad for the business because it leads to overpayment of taxes. An example of this expense is the kickbacks. It’s a common knowledge that most government projects have kickbacks. The contractor cannot deduct this resulting to higher taxes. Another problem of the contractors is that they cannot transact with the government unless they have tax clearance. One of the requirements for the clearance is that a taxpayer must not have a pending case with the BIR. Arbitrary assessment or not is still an assessment. The taxpayer must prove it wrong first before it can be taken aside. If a taxpayer refused an offer of the revenue officers for settlement, they will issue an assessment. Regardless whether it’s valid or not the taxpayer is obliged to deal with it first before he can secure a clearance. Consequently, the taxpayer needs to secure the services of a lawyer. That means additional expenses. The damage is not only money but time also. It is; therefore, wise for a contractor to under declare transactions either by decreasing his gross income or increasing his expenses or both. A 50% or more under declaration is not surprising. This makes businessmen feel safe. When the BIR comes, they settle for the 50% to 75% of the under declaration. If you are the businessmen, why file your taxes correctly? You will just put yourself in trouble. This has became the attitude of the taxpayers towards taxation. Let’s set an example. If the total amount of tax to be paid is P100.00, the taxpayer will declare P60.00 resulting under payment of tax amounting to P40.00. The examiners will settle for P20.00 and out of this P10.00 goes to the government and the other P10.00 goes to the revenue officers. The amount shown at the beginning amounting to 24B, in the example above represents the P10.00 stolen by the revenue officers. Can you imagine how much is the actual loss of the government? That P10.00 represents 25% of the total loss by the government. The 100% must be P96B. But not yet, it was just based on the amount stolen by the examiners and supervisors. How about the amount that goes to the assistant RDO, RDO, assistant Director, Director, and some commissioners? The amount taken by these officers were not yet included to the above computation. At least you have the idea of how serious this problem is. If the government could just collect properly these amounts, is there a need to impose a VAT on gasoline and in electricity? The salary of Revenue Officer I, including the examiners, is just about P13,000.00 gross of deductions but look around the BIR offices and notice the brand new cars parking on the parking space. Who owns it? How an examiner with such salary is capable of buying this kind of cars? The BIR says, “Run after the tax evaders” but the real tax evaders are inside the BIR. All revenues whatever the source—legal or illegal—is subject to tax. How much the revenue officers have declared to their income tax return compared to their bank accounts and properties? They are the root of tax evasion. They teach the taxpayers to evade taxes. More often than not, the issuance of LA is just for formality only. Beforehand, the agreement is already arranged. A taxpayer is informed in advance that a LA will be issued and the amount of settlement is already arranged. Recently, the BIR goes with the big issues. When the case on the chief justice broke out, there’s the BIR. When the PDAF scandal broke out there’s the BIR. There’s also the case of Manny Pacquiao. That’s the magic trick—leading the eyes of the audiences to one direction using one hand as the other hand performs the trick. It’s okay to ride with these issues, after all there’s a legal and factual basis, but it must be assured that the real issue are being addressed and that’s the corruption at the BIR. 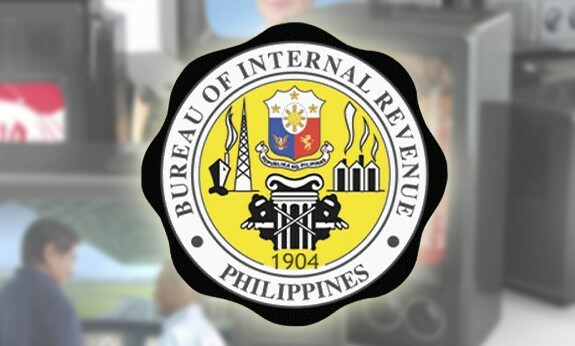 The BIR has filed tax evasion cases to countless taxpayers. They are those who refused to settle with the revenue officers. Some of them are just sacrificial lambs. Others are the enemies of the administration. That’s sad. I cannot undo the past. I want the country to prosper—the real prosperity and not by figures, not by non-sense surveys, not by standards used by the government which is far from the truth. Is this the kind of environment the next generations shall receive? Until this issue is properly addressed, the country will never kick off. Taxes, the main source of revenues of the government is like the engine of a car. How can a car run fast with a wrecked engine? You can beautify the body by painting it, change its side mirrors, change the seat covers, and so on and so forth but they are all useless if the car won’t run properly because of wrecked engine. The corruption at the BIR cannot be eradicated alone by the commissioner, the secretary of finance, not even by the president. It requires law. It requires the coordination of the congress, senate, and the executive. There must be a law that would strictly monitor the revenue officers and the president must exert the effort because he is the highest authority. The connivance is within and outside the bureau. This is a call for the Professional Regulation Commission (PRC). Most accountants don’t value the “Auditor’s Independent Report” anymore. There are those who express an “unqualified opinion” even the financial statements are incomplete. They don’t care whether the financial statements are totally distorted. They connive with the revenue officers because they get 5% to 10% commission for every settlement; consequently, it does not matter to them whether the financial statements are fairly presented or not. This is also a call for the Board of Accountancy. The time will come that our “Auditor’s Independent Report” will lost its credibility. Who will rely on the works of the accountants in the future? You will know the tree by its fruits. “Kung walang korap walang mahirap, tuwid na daan” are more than words. It requires actions. The fruits of those words should be beneficial to the people; not to the leaders and their political party. The main reasons why the BIR goes with the highly profile issues is for everyone to see it visible, as if it doing everything to collect the taxes needed, and create fear to the taxpayers. This is the style of the new management which is good. However, to run after the tax evaders, it must start from within; otherwise, the outcome is different. The revenue officers can easily intimidate the taxpayers to settle with them rather than guiding the taxpayers to pay taxes appropriately. In the end, it’s always the people who suffer. If the taxes collected are insufficient, the normal course of the government is to either increase the tax rates or the coverage. Electricity and gasoline used to be vat exempt. The most basic commodities that the poorest among us can’t almost afford were included among the vatable commodities. The real issue is not the tax but the proper collections. If the taxes are properly collected, is there a need to increase the tax rate or increase the coverage? This will always be the case until this concern is properly addressed. Should we wait that sale or importation of agricultural and marine food products in their original state, etc as stated on Sec. 109 (A) of the NIRC be included to VAT just to cover the deficiency of the government considering the real concern is that the taxes are not properly collected and just being pocketed by the revenue officers? Today the BIR has difficulty in reaching its goals. That’s not surprising. What’s surprising is, it’s always the people that suffer. The equation is very simple. You cannot completely fill a glass full of holes with water. What goes in goes out. No matter what increases in tax rates & coverage is useless if the actions of the revenue officers are still the same. I love the BIR. This is not to destroy it but rather to clean it. The current culture at the BIR is like termite in a house. Look around and analyze what you see. With the current salary grade where did the examiners, supervisors, RDO, & Directors get their wealth? Each drives brand new cars. Some has condominium units. Some goes to casino regularly. The houses are big and expensive. Some has many houses. Some has farm lots in their provinces. Some has many businesses. Many wear expensive jewelries. They have up-to-date gadgets. Some often goes to other countries like Hong Kong and Singapore. And you know what…? This is the funniest… Some has their own drivers, yes, that’s plural, drivers… more than one driver. It’s very rare to see an examiner who has no car. Indeed, a new examiner, in three months time already owns a brand new car. LA is not just the source of corruption. Corruption takes place even in TVN and LN. LA and TVN, in process are just the same. They are both authority to investigate. The process is just the same. Even in LN corruption takes place. The revenue officers tango with the taxpayers. They even fake the supporting documents to cover up the discrepancy. Often, the money involved with LN is bigger than LA especially if it is the first time a taxpayer received a notice from the BIR. Other source of corruption at the BIR is the transfer of property mostly by way of deed of sale. The taxpayers under declare the amount of sale and connive with the revenue officers. This is almost impossible to resolve. One must really audit the buyer or the seller if they have businesses to see how much really came in and out from their bank accounts. There’s also a need to look into the lawyer’s records. But the point here is, it’s almost impossible to know it. The only remedy is to really look into the bank accounts of the revenue officers. Most of the time the revenue officers will arbitrarily assessed the taxpayer by overstating the zonal value of a property. This is done by using a different classification of the property. This is not corruption but robbery. Whatever it is, it’s inappropriate. During the time of I think Pres. Erap, some revenue officers made a rally against this scheme. They shouted against the connivance of these revenue officers with the taxpayers and accountants. It was in the News. Nobody had cared. Until now I see no action from the government. Those who go against this scheme were displaced. Most of those who went to the rally, were displaced. Some are still Revenue Officer I until now while those who go with the scheme are already RDO, promoted several times. The BIR can enter into compromise agreements with the taxpayers. Compromise simply means that instead of filing a case against a taxpayer, the BIR and the taxpayer agree that the latter will pay, aside from the basic tax, surcharge, and interest, a compromise penalty so that the former will no longer file a case. Sadly, the term is used by the revenue officers in bad way. It is the word used by the revenue officers to offer illegal settlement with the taxpayers. The taxpayers thought that they are doing a compromise with the BIR. They are not. They are doing illegal activities with the revenue officers. I hope this information enlighten everybody, especially the law makers, to understand, why, despite of so much effort, it seems very difficult for the government to move forward. I further hope that, with this, they can make laws to address this concern. I hope the people will also participate against this scheme at the BIR. I don’t think the current administration is exactly what we wanted. But compared to the previous administration, this is better. At least, even though they don’t listen to the people—the opposite of their claim—they react to the comments of the people. They are pissed off if the comments are unfavorable to them. Most of all, unlike the former administration, they are afraid of the people. That is good. If president Duterte can address this issue, is it not appropriate to support whoever endorses cleaning for the next six years to make sure that this concern will be addressed since this case and the effort during pastadministration would not been suffice? Would it be inappropriate to support the lawmakers who will address this issue when they run for the next election? I wish also that the president will look into the COA auditors, BOC officers, budget officers, & government accountants. The congressman who said PDAF is just the tip of the iceberg was right. The administration keep on saying, in fact, boasting itself that it is against corruption. By its fruits you will know the tree. The president is about to live his post, where are we now? What his battle cries mean? He is living so as corruption still lives. Corruption at the BIR has never been touched. Who am I is not important. The issue is not about me but the corruption at the BIR. How would the corruption at the BIR be addressed accordingly? Note: Please pass it over until everybody knows. Lights shine when people know and take actions. In the absence of light darkness prevails.